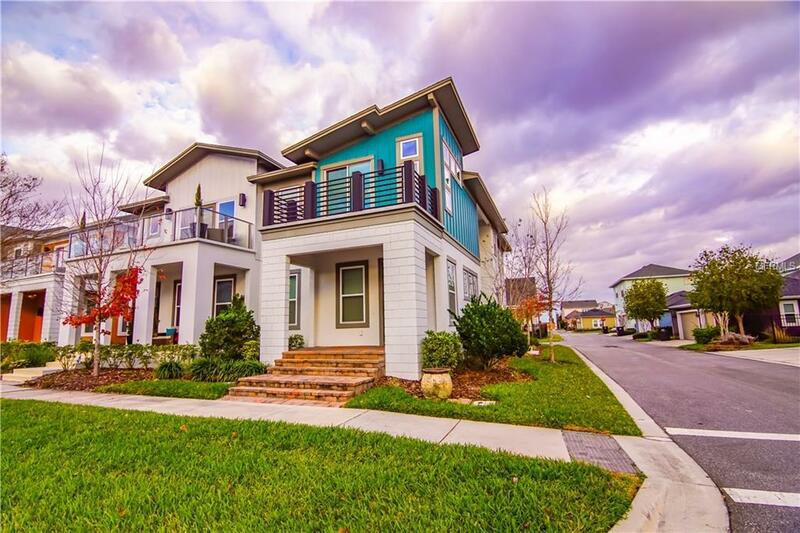 Welcome home to this beautiful modern townhome in Laureate Park of Lake Nona. The first floor has a spacious living room with dining space that leads to the beautiful kitchen. The kitchen has solid stone counter tops with a modern backsplash and a big bar perfect for entertaining. 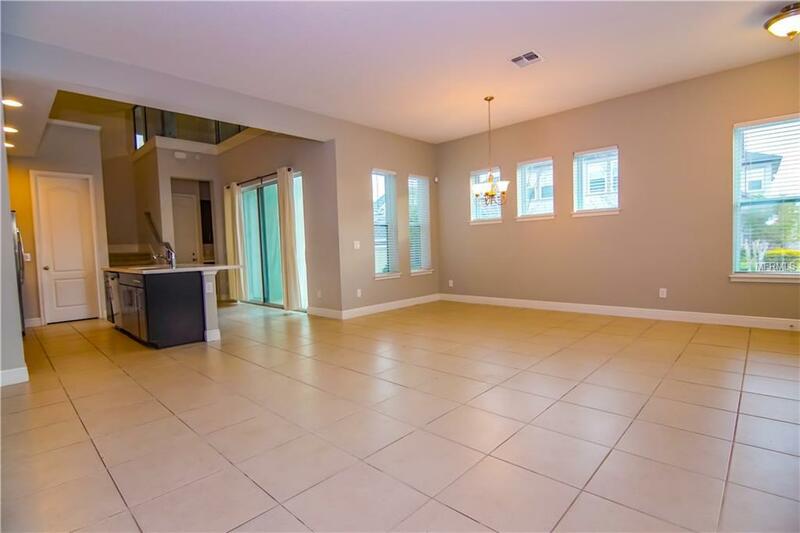 There are sliding glass doors off the kitchen that take you out to a cute patio area where you can sit and relax under the stars. There's a powder room for guest and a nice size laundry room on the first floor as well. 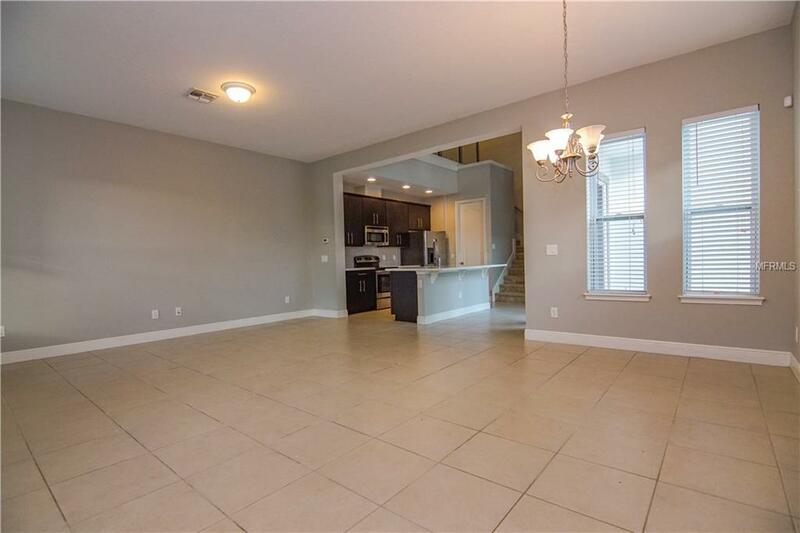 Upstairs you will find 3 nicely appointed bedrooms and 2 bathrooms. The Master bedroom has it's own balcony perfect for morning coffee. Laureate Park & HOA amenities include a resort style pool, Fitness center, Dog parks, Community gardens, Free weekly events. HOA dues include termite prevention, exterior repairs and maintenance and basic cable! 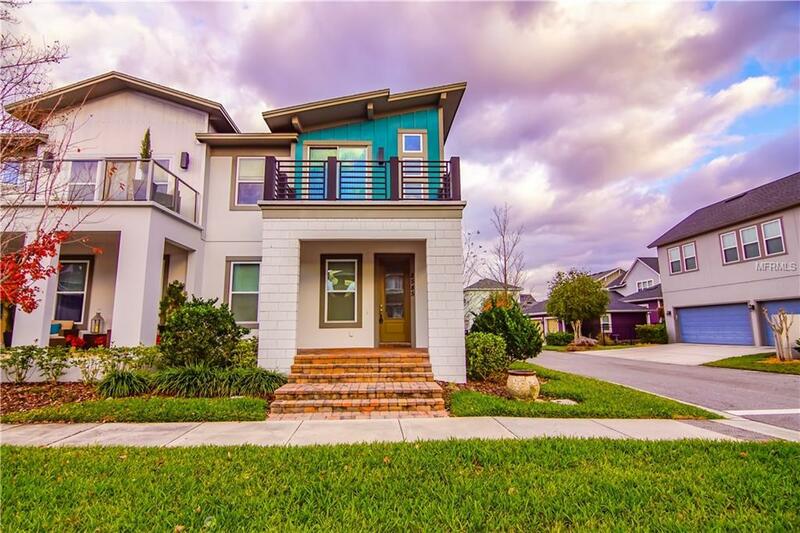 Minutes from Medical City (VA Hospital, Nemours Hospital, UCF College of Medicine), USTA headquarters, Orlando International Airport, Highway 417 and 528 will quickly get you to Orlandos theme parks and attractions or the East coast and Cocoa Beach. Call to schedule a showing! Listing provided courtesy of National Real Estate Llc.